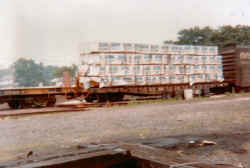 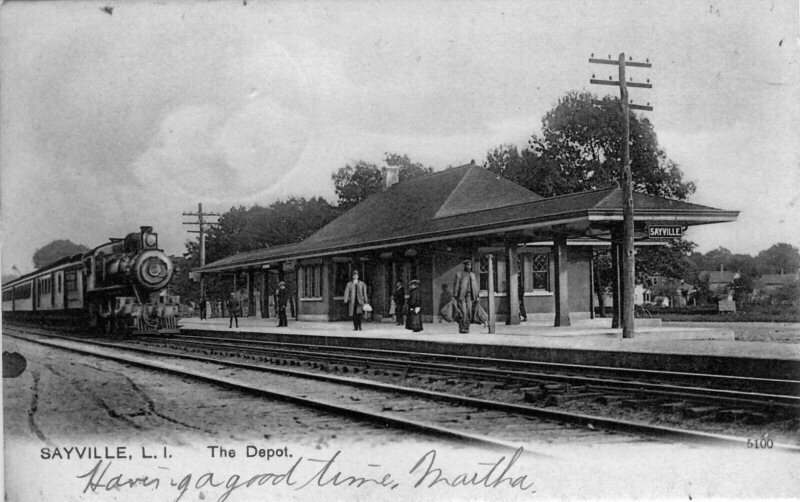 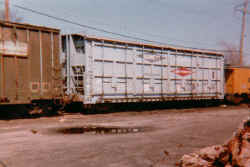 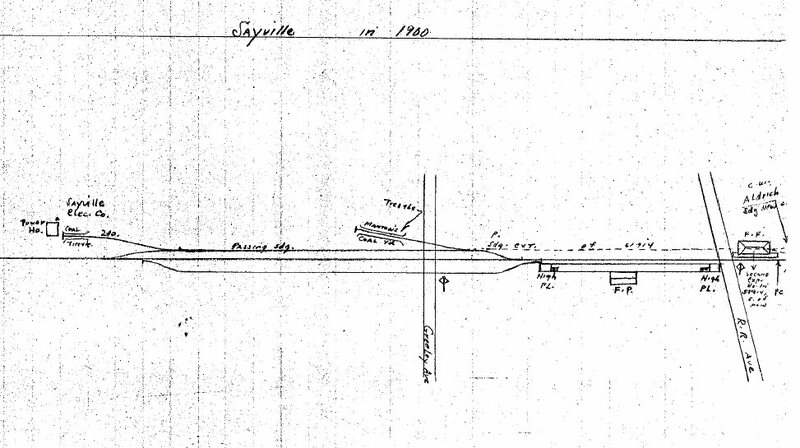 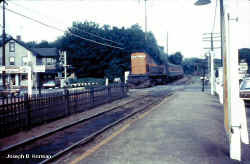 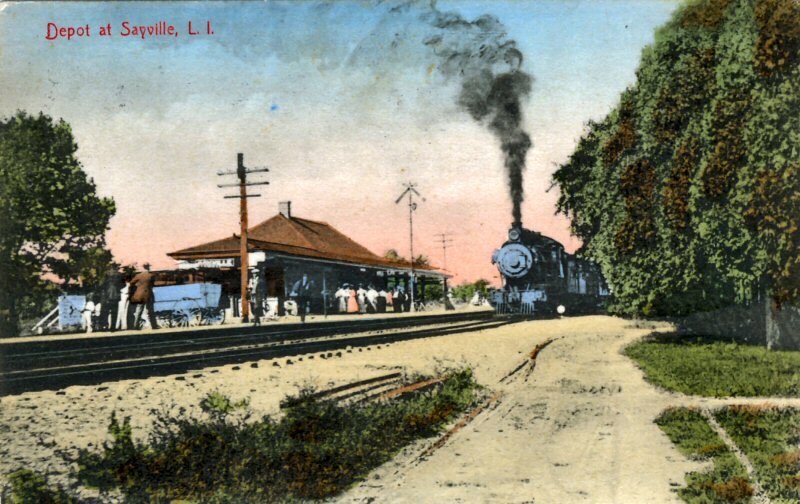 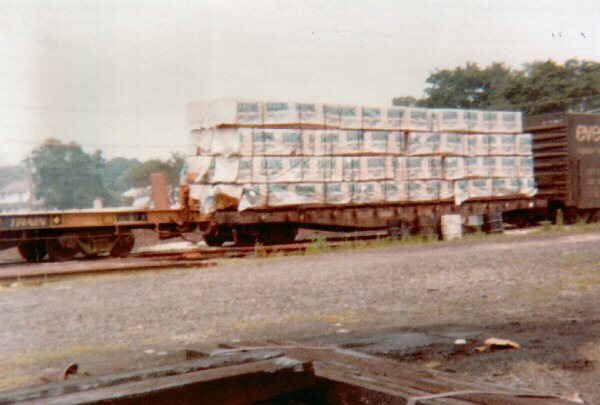 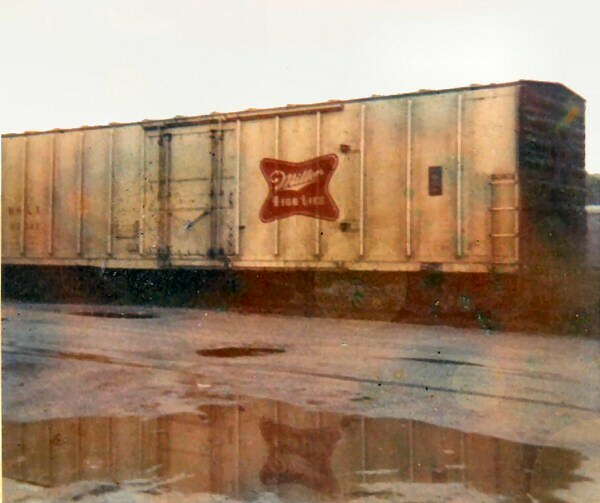 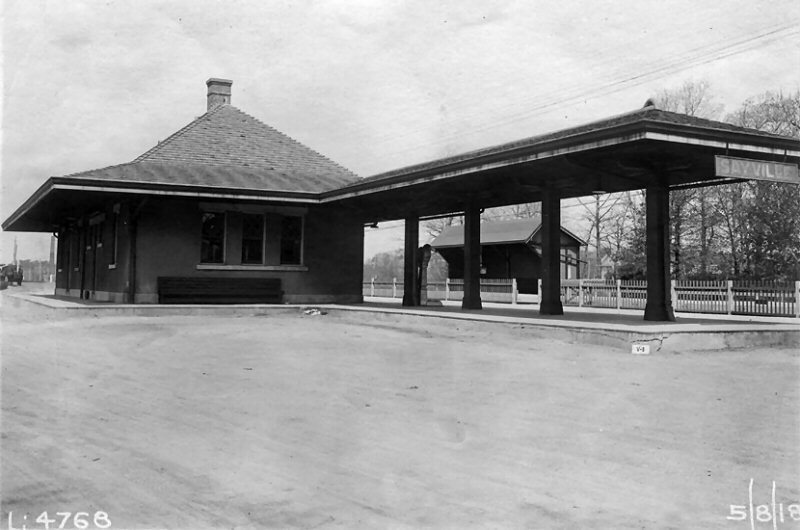 The double track was reconnected after the project and placed back in service to its original location, and the original cabin was left in situ. Once the project was completed, the tracks placed back in service and the cabin moved to the south side of the tracks, it was re-manned. 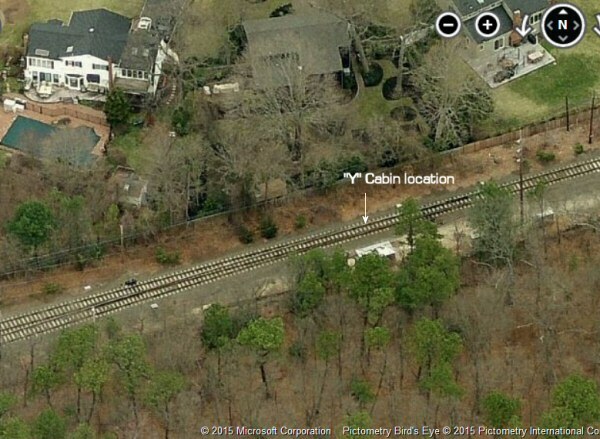 You�ll notice the temporary structure, which dates to the 1930 project is ALSO wearing the keystone call sign as is the original cabin in the c. 1929 view. 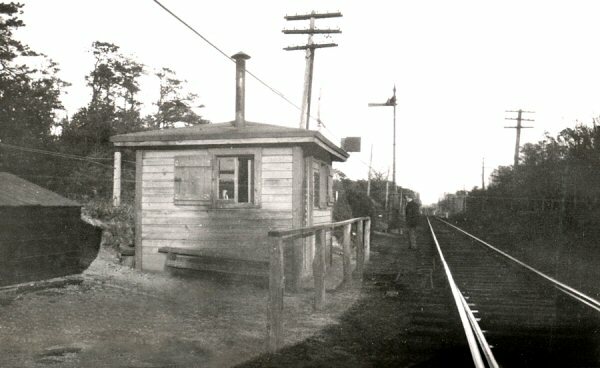 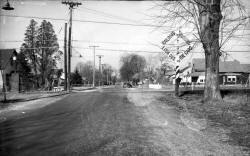 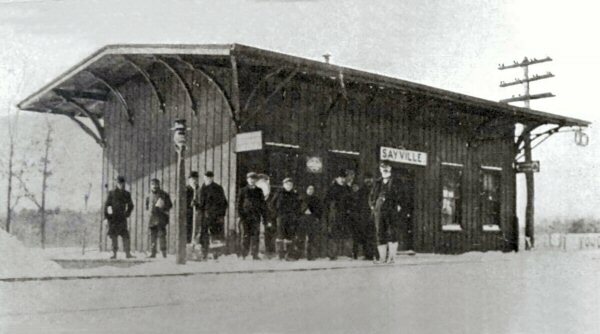 It is my opinion that the original cabin in photo #1 was given this sign sometime after the c. 1925 photo was taken. 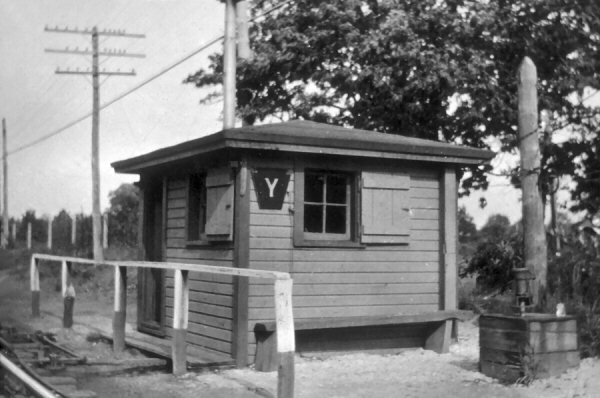 It was removed and placed on the temporary cabin and, once the project was completed and the older cabin restored to duty, it was placed back on that structure to identify it. 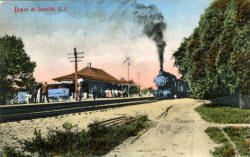 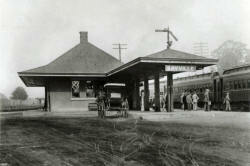 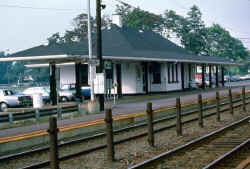 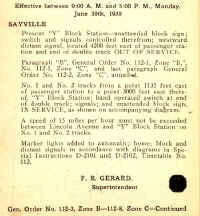 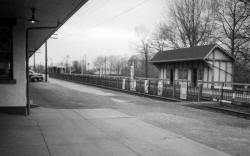 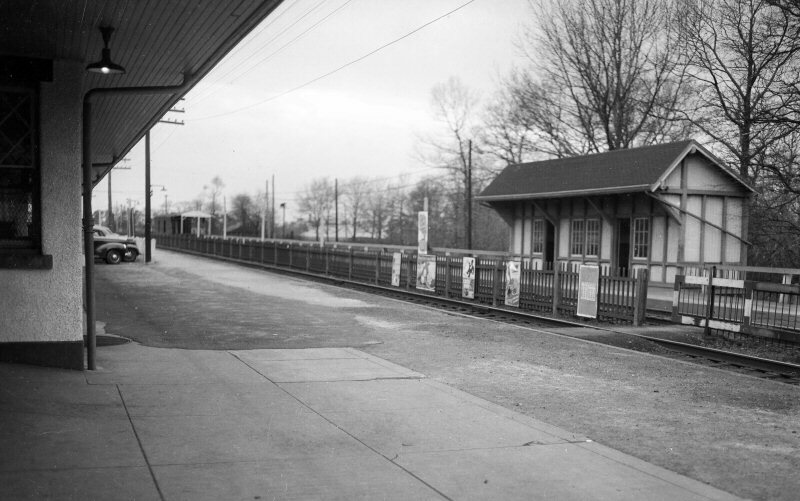 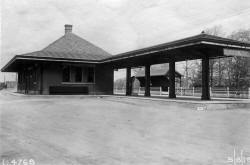 The cabin was permanently placed out of service and removed on 6/7/1939 and a spring switch installed. 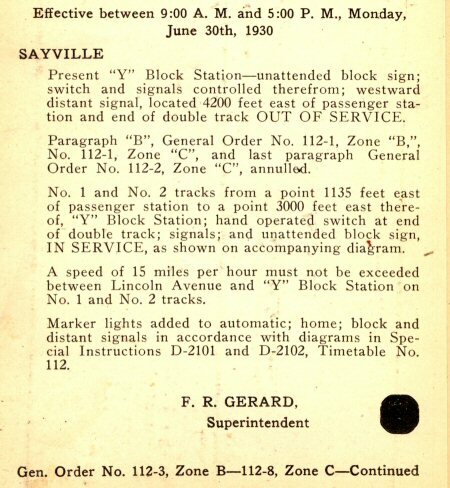 It was protected by �PD� signal #16 controlled from �PD� tower effective that date. 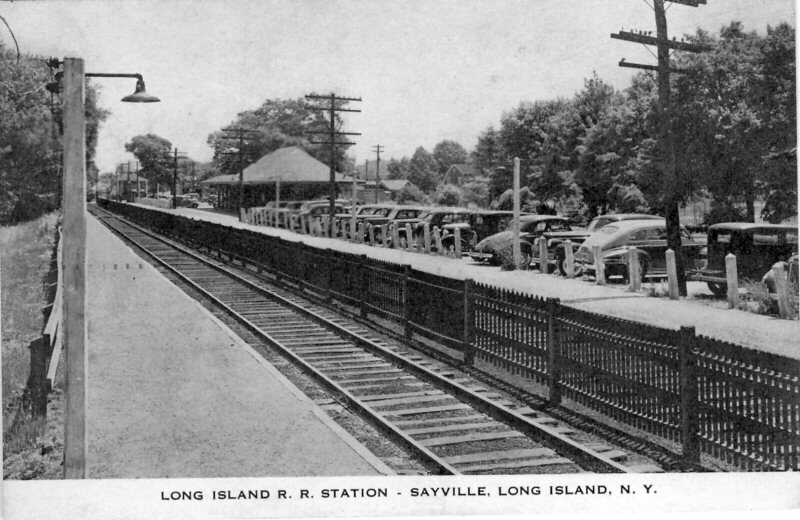 CP (Crossing Predictor) a different signal system being used at Sayville to help manage the length of time the gates are down. It provides consistent warning times for crossings under the conditions of varying train speeds. 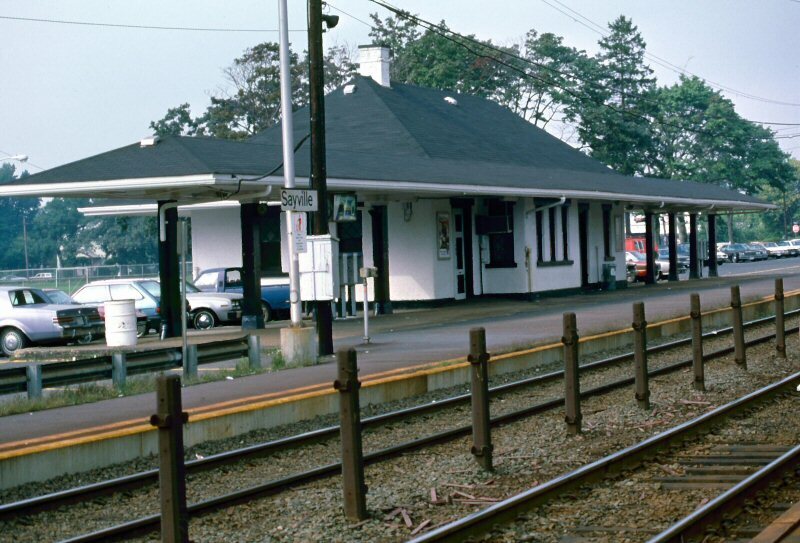 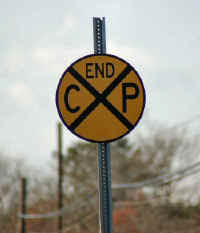 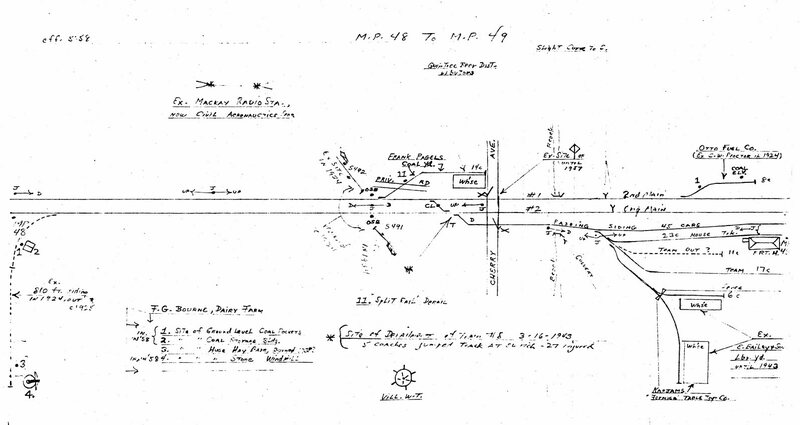 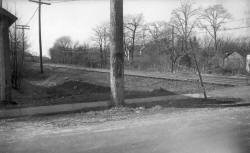 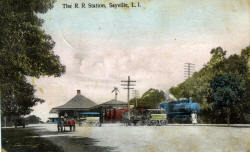 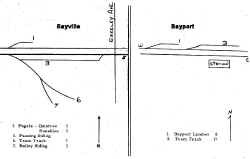 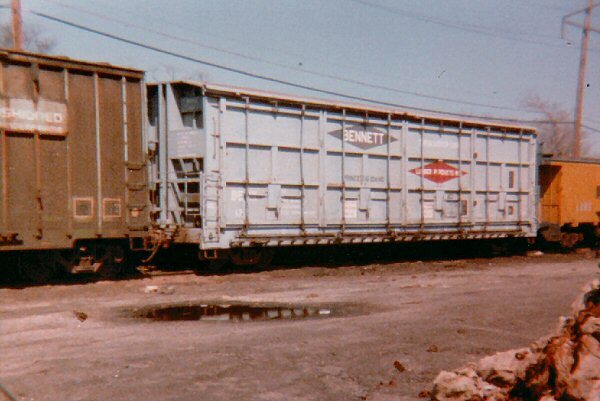 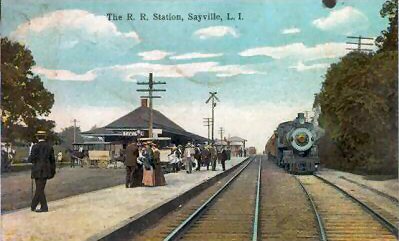 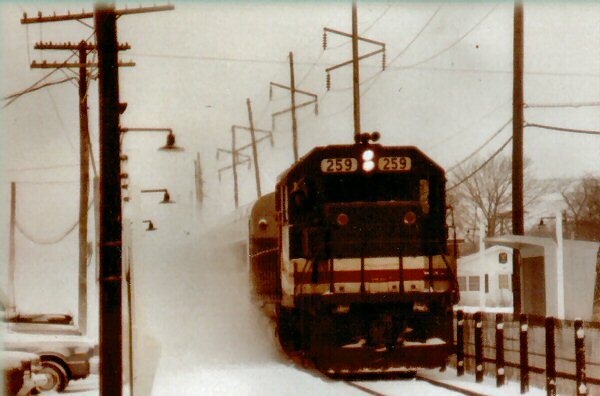 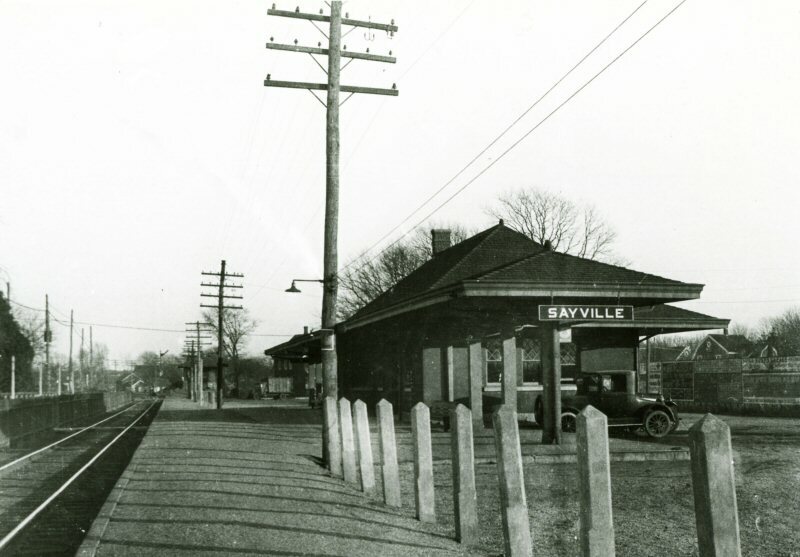 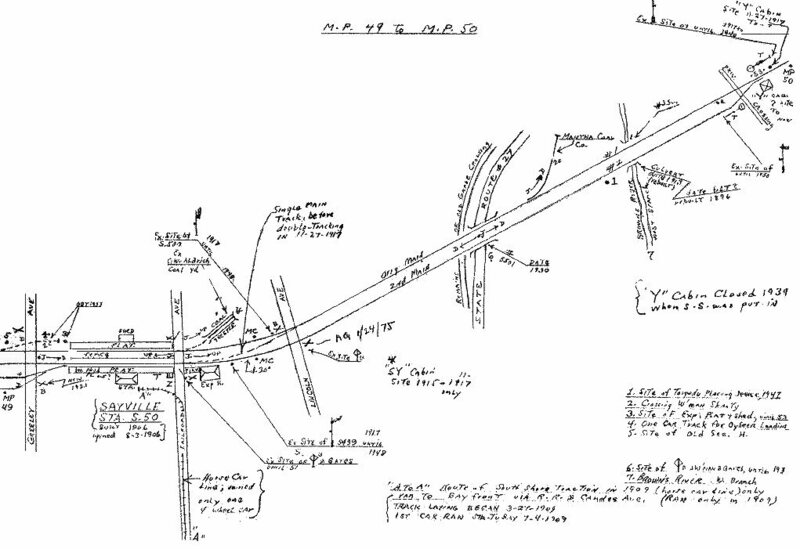 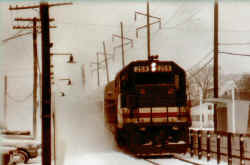 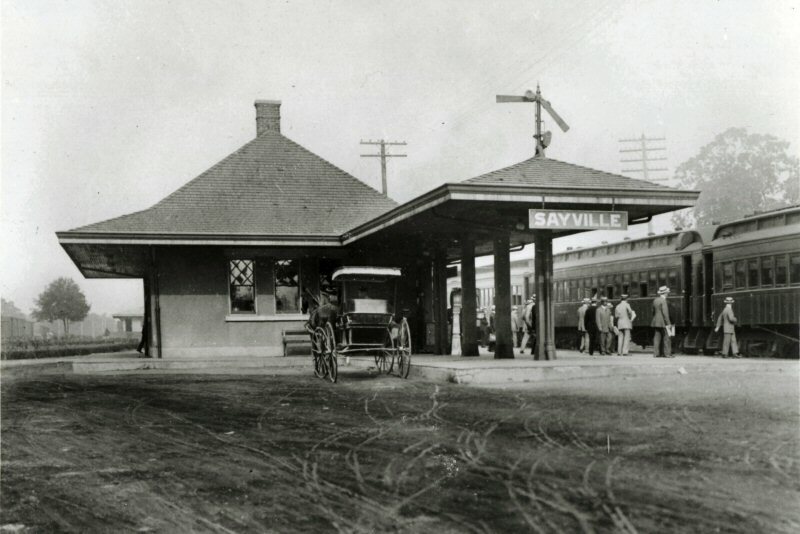 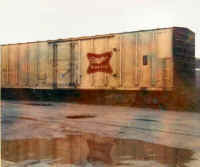 These were installed at several crossing in the Sayville area in the 90's. 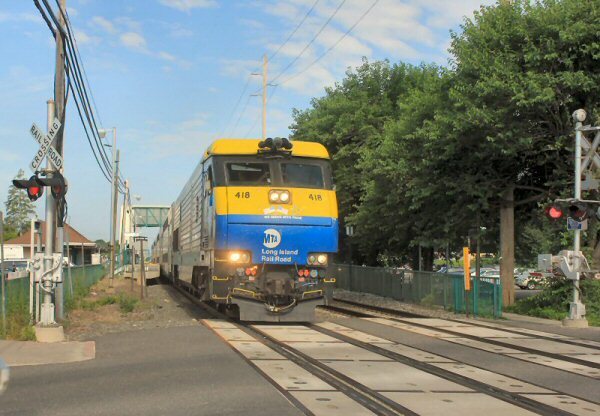 The term controlled point is not used on the LIRR, rather they use remote controlled interlocking, etc. 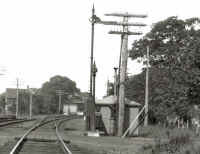 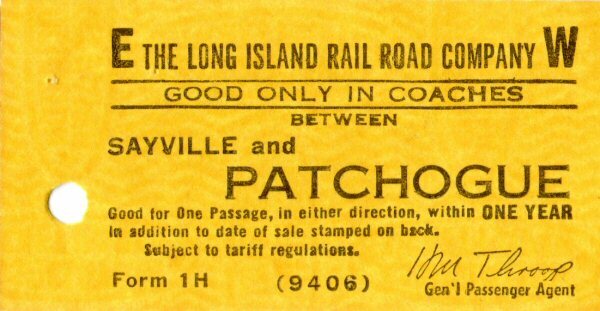 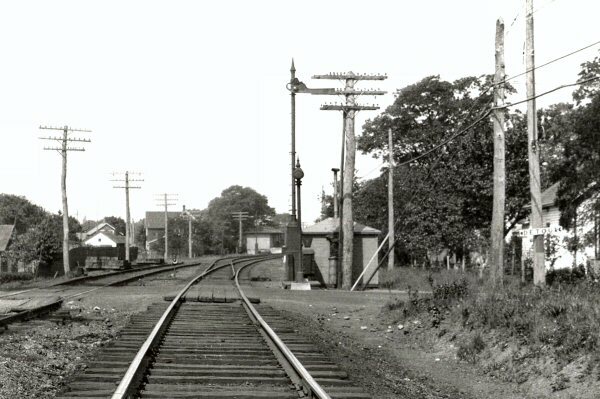 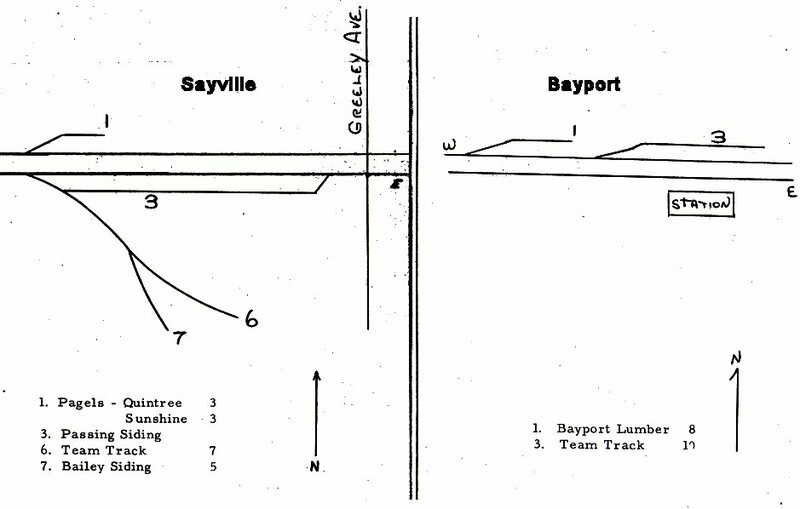 For instance, east of Sayville is a point remotely controlled by PD tower where the 2 tracks merge into one, and that is simply called "Y"